Located at less than an hour from the city of La Paz, this Park has great scenic beauty in several ecological levels. 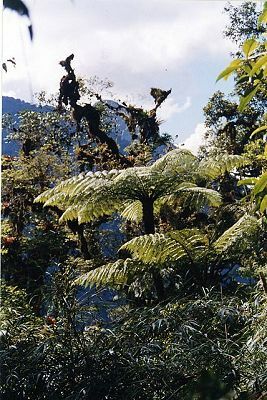 These descend from the snowy peaks of the Royal Mountain Range through the high Andean steppes, to penetrate slowly in the lush cloud forests of the Yungas, the entrance door to the Amazonian region. 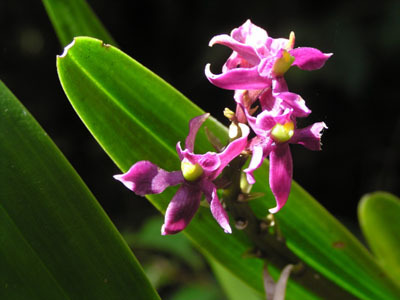 At present the Park covers 60.000 hectares of enormous biological diversity with at least 1800 species of superior plants, 455 identified bird species, 64 mammal species and a rich variety of bromeliads and orchids. 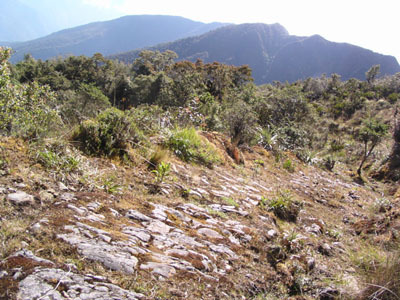 Urpuma, more than a shelter, is a community-owned eco-tourism enterprise with 25 partners that was created to provide functionality to the Cotapata National Park objectives. 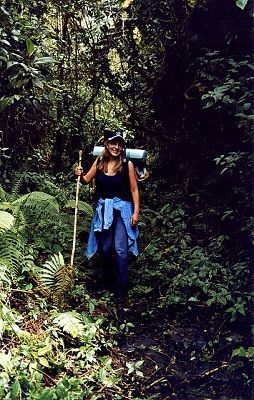 This enterprise offers guide services, with emphasis on environmental interpretation, both for the El Choro trek as well as through the less traveled Coscapa trek. 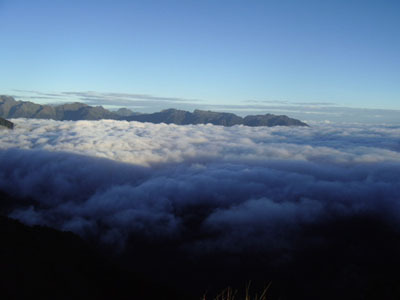 We offer a two day hike, starting near the village of Unduavi on the La Paz - Coroico road. 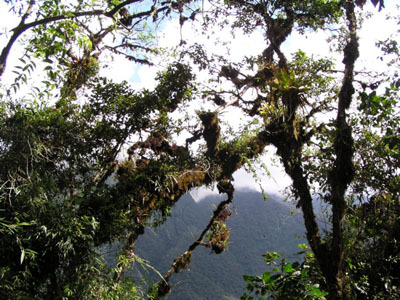 From here we will continue to the top of Sillu T´inkara Mountain and later descend and passing through cloud forests along the Choro Trail. 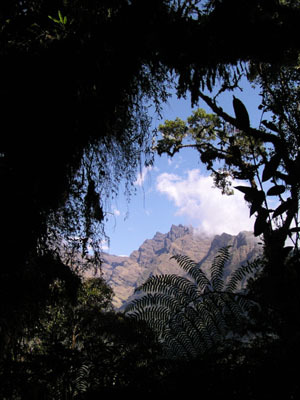 The adventurous trail finishes in the community of Chairo in the protected area of the Cotapata National Park. The tour includes breakfast, lunch and dinner, local tour guides, porters, cooks and a overnight stay in the Urpuma lodge.